Update your look this season with utility jumpsuit. 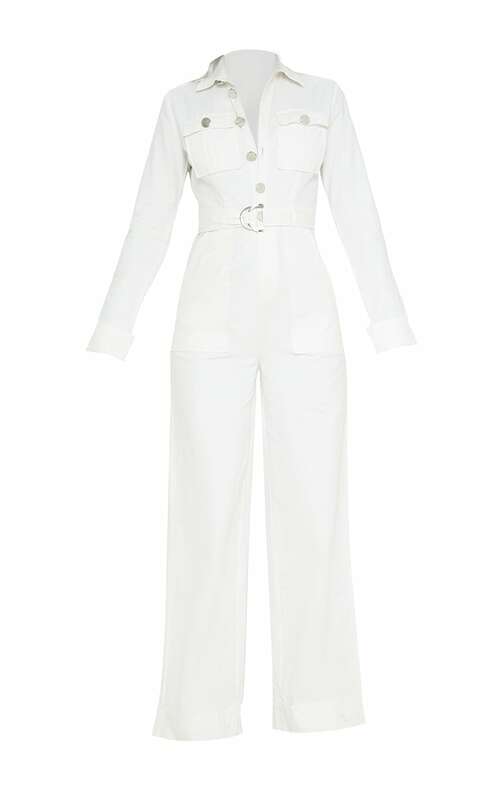 Featuring a crisp white material with a button up front, a d-ring belt and a wide-leg fit. Go head-to-toe in the hue and finish off the look with some chunky white trainers.